Employee loyalty is an umbrella term for a set of emotions that make employees feel attached to their current employer and less likely to see greener grass elsewhere. Employees are your most valuable assets. They should have the feeling that your organisation wants the best for them, and as a result they will continue to do their best and not look for another job. They are the people that work day in, day out to boost your business and help you to reach your goals, and loyal employees can do absolute wonders for the future of your brand. Organisations are highly dependent on employees' loyalty; it is important for organisational success. In the past there was still a concept of 'life-time employment’, where employers offered the security of a job in exchange for commitment and loyalty. Today, employers are under pressure from shareholders to perform well and as a result cannot always offer job security. It is not surprising then that some companies are losing around a third of their employee base every year. With numbers like that, employee loyalty can feel like a thing of the past. Many business leaders are worried about excessive staff turnover, particularly amongst young employees. They see an absence of loyalty in millennials as the cause. Young people have grown up with information on-demand, and connected to apps such as Twitter and Facebook they are constantly informed of new job opportunities by their networks. All businesses will need to hire millennials eventually to keep them going, and when they do it’s crucial that they do whatever they can to engender the kind of loyalty required to retain them. Also, beyond the pain of hiring replacements, it costs about 20% of an average employee's salary to replace that employee. There is nothing worse than hiring a new recruit, training them up to excel in what they do, only for them to leave and put their good skills to use for a competing business. If this happened too frequently, your company could essentially become a training ground for your competitors, meaning they don’t have to carry out training procedures, putting you at a huge disadvantage. Clearly, instilling loyalty in your employees is worth it. “Train people well enough so they can leave, treat them well enough so they don’t want to”. Richard Branson. Loyal employees are those who are hired to do a specific job and they will do everything they can to do the best job. Loyal employees not only work hard for their pay, but they are committed to the success of your company. More often than not, they put the company’s interests ahead of their own, but are always striving to improve themselves and their role. When you nurture loyalty in the people that work for you, you’ll start to see some incredible benefits for everyone involved. When employees are loyal to their workplace, they will be more willing to invest in their work, innovating new ideas and going the extra mile. Loyal employees are happy employees, after all, and as Forbes reports, happy employees mean “hefty profits”. The link between employee satisfaction and productivity is long established. Pret a Manger attributed a massive increase in sales to happier employees. Some have attempted to measure the link, with one study finding that happy workers are 12% more productive than their less satisfied counterparts. A successful company needs employees who are loyal and committed to what it stands for and to what it’s trying to achieve. Businesses should therefore continue to focus on employee loyalty and attempt to increase it. According to research by Gallup, 70% of an employee’s motivation is influenced by their manager. This is because employees that lack motivation don’t fully commit themselves to a position and lose productivity. Which, in some cases, can cost a company millions and lead to poor customer service. More than half (53%) of workers describe themselves as “not engaged,” according to a Gallup Poll and another 13% are “actively disengaged”. That means they’re not really putting their hearts into their jobs — they’re showing up, putting in the work, and going home. If they get a better job offer, they will probably leave. Employees will feel little commitment towards their organisation if they cannot see any meaning to their involvement in it. They will be equally discouraged if they do not believe they are participating in realising some compelling vision of the future. The same is true when their leaders are not ‘genuine’ – when they behave in ways that conflict with what they say. The most influential factor in employee engagement and performance is the employee-supervisor relationship. Investing in your managers to develop dynamic leaders will provide the greatest impact. Hire and train managers to communicate well, help ensure that employees are in jobs that are a good fit for them, and give appropriate feedback, to name a few. The only thing that can stop a high employee turnover is encouraging more company loyalty in your employees. Give employees a reason to stay, or, even better, multiple reasons. It is far easier from an economic perspective to spend a little time or money now on keeping current employees satisfied than it is to search for and hire new ones. There are some easy steps that you can take as a leader and a manager to develop and grow your staff loyalty. If you demonstrate a strong measure of loyalty to your team, you’ll find that same measure of loyalty being returned to you. In these trying times inspiring loyalty will help you get the most out of your team and lay the foundation for lasting success. Granted, there’s often not enough time to interact with every employee on a social level every day, it can even be difficult to maintain that once a week depending on the size of your business. 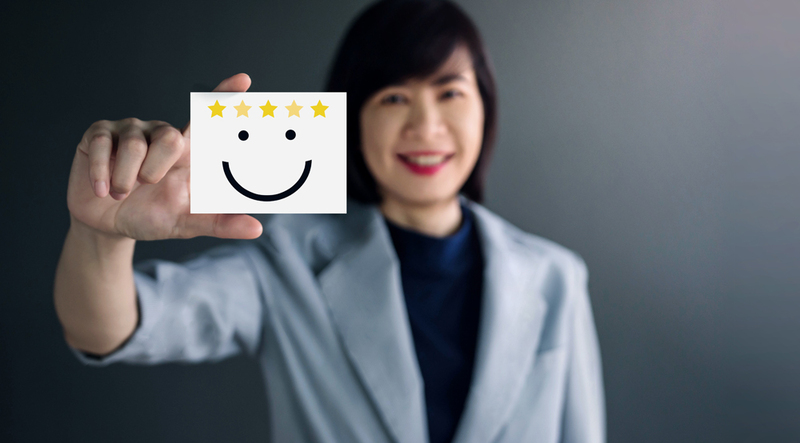 However, it’s important the principle is carried out and can restore any doubts over employee value to your business, as you’re taking strides to connect with your staff regularly. When people feel they are trusted and valued, they tend to reciprocate those feelings. Whenever possible, give your employees the authority to make decisions that relate to their work. The resulting sense of freedom and responsibility could inspire them to go above and beyond, improving the work environment as a whole. Your employees bridge the gap between your business and your customers, as they’re the people who will be interacting the most with them. Loyal employees will happily talk up your business on their own terms, which, in turn, will build trust with your customers too. Encourage and trust your employees to share their working experiences on social media and give them the power to talk about your business if that’s what they want to do. Feedback is vital for growth in any capacity – whether that’s in the workplace or personally. One of the core principles of any business should be to operate with honesty and integrity, whether it is to clients, customers, or employees. An honest outlook with employees cannot only aid communication but will also help streamline your company’s processes. Giving feedback and helping your employees set and reach individual, as well as company goals, is incredibly effective. By offering something actionable yet honest, it allows you to build trust and a certain level of openness with your employees and thus eliminating any negative workplace hierarchy that has slowly developed over time. Also, through accepting criticism and feedback on your own management, it will make it much easier for employees to take your concerns/feedback on-board in the long term, as a token of mutual respect. Graduates are likely to want the perfect work/life balance from their employers just as much as they want good career prospects. A survey by Accenture found that 59% of graduates would prefer a positive social atmosphere at their workplace than a higher salary. These are just two examples of where businesses need to take a fresh look at how to offer employees incentives. A simple pay rise may not be enough to keep a graduate on the team. Another way to increase employee engagement is to have them set their own work hours and decide whether and when to work remotely. Job sharing, term time working and provision for study leave can increase staff loyalty and improve an organisation's performance. Employees expect to be paid as much as they could earn doing the same job elsewhere and they feel "de-valued" when they're paid less. Employees also expect to be paid as much as their peers who are doing the same work, regardless of whether those peers are better at negotiating salaries. There's no question that today's workplace contains more uncertainties than in the past. The economy changes rapidly and innovations constantly disrupt previously stable markets. This pervasive uncertainty creates a climate of stress that can make employees miserable, according to a study conducted at University College London. While no single company can fix an uncertain economy, a company can make working more predictable simply by keeping its employees briefed and giving advance warning when changes are imminent. It's difficult for employees to feel loyal to a company that tolerates individuals who make the workplace miserable for everyone else. Abusive bosses and co-workers greatly increase stress (and therefore turnover). Ensure that you treat everyone fairly and be known as a manager who had integrity. By offering a supportive environment, employees can work more comfortably without the fear of making a mistake. This encourages experimentation and allows staff to push themselves. With the reassurance that their managers will help employees learn from their mistakes, it will develop and strengthen the respect between manager and employee. Involve employees in the decision-making processes. Employees often have a valuable perspective that is not obvious to members of the management team. This kind of support inspires your employees and encourages innovation, allowing you to keep your practices fresh. As a result, employees will be further engaged and loyal to your company. Training is an important part of running a business. You want your employees to be the best they can be, and to do that you need to provide them with the resources and tools they need to get there. Training can be one of the most powerful ways to boost your business. When your employees have the correct information and knowledge to do their best work, it will impact your business in positive ways. Also, understanding where an employee wants be career-wise will help you make better decisions. Not every employee has a clear career path in mind, and some have high expectations but not a clear road map. By sitting down and understanding where an employee expects to go, you have the ability help co-pilot the journey with training and development opportunities. Offering a recognised professional qualification option to your company training programme greatly enhances its profile and status, not just at the employee level, but also for your organisation as a whole. That in itself can help to build employee loyalty. Need help with building your management skills to foster employee loyalty? GBS Corporate training has grown to become one of the UK’s leading training organisations, delivering a broad range of training solutions. We do not promote or believe in any ‘single-answer-solution’ to the challenges facing today’s highly complex and competitive commercial and cultural environments. We believe that no two organisations are the same, and, that the same apparent problem in two different organisations cannot be solved with the same solution. GBS will develop a tailor-made learning solution that is a perfect fit for your organisation to help your managers and leaders develop skills to promote and foster employee loyalty and commitment. We research, design, and apply finely tuned development interventions around the 70:20:10 principles to help meet the challenges of today, and, equip your people for an increasingly challenging tomorrow. Our in-house training programmes can also offer your employees recognised qualifications on successful completion, showing to them that you believe in their ability and are willing to invest in their future with you. It also gives them more credibility for what they know, what they can do and will help to ensure their loyalty to your company. Get in touch today to talk to us about how we can help your organisation with your Leadership and Management training needs.